It seems that, although we've all been distracted by the shiny object of social media in recent years, direct mail has kept up a steady drumbeat of effectiveness. It is true that there is less direct mail as charities have become better at targeting the most promising prospects. Nevertheless, direct mail's outstanding has persisted. Jen Linck, writing in , points out that response rates for direct mail are ten times that of digital marketing. That doesn't seem too surprising given the cluttered nature of all of our social media feeds and email accounts. Somehow, something we can hold in our hands and examine at leisure seems pretty special. Writing an excellent fundraising letter can look overwhelming. After all, charities pay big bucks to professional copywriters for their direct mail letters. But, these letters are not that difficult. Sincerity, clarity, and a touching story can make all the difference between a blah letter and a great one. Personalize your letter. Use first names if possible. Spell the name right. Never call a Ms a Mr. Thank the donor for his or her past support. There’s nothing worse than writing to a long-time donor as though he never gave before. Look it up. .
Tell a story. Stories win out over facts hands down. Collect so that you always have a good one to include in your fundraising letter. Make the donor the hero. Don’t . Talk about the great good your donor can do by donating. Write conversationally. This is no time to . Tell your story and make your pitch as though you’re talking to a good friend, your next door neighbor, or your grandmother. Make a specific ask. So much money is left on the table by charities that . Say what you need and for what and when you need it. Read on for examples of fundraising letters that moved donors to give generously. 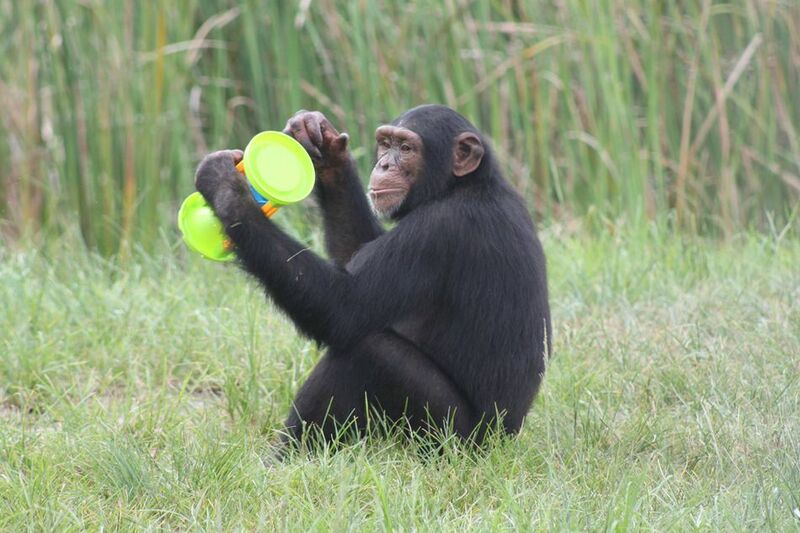 This simple fundraising appeal came from , an organization that rescues chimpanzees and gives them a happy home for the rest of their lives. This letter came on simple letterhead and focused on one thing…food. I love the way the letter uses statistics …. 1,200 bananas … and how it includes the names of individual animals (Pumpkin, Cheetah and Allie). The letter came in a business size envelope with a photo of Jimbo the chimp eating a banana. There were minimal enclosures that included a reply card, and reply envelope, and a sticker with a photo of Tarzan, the chimp. A simple mailing, but also powerful. Three times a day, every day of the year, our 250 chimpanzees devour bananas and sweet potatoes … apples, watermelons, and corn-on-the-cob. That is why I am writing to you today. As fresh food costs continue to rise, our ability to provide our friends like Pumpkin, Cheetah, and Allie with the diverse and nutritious diet they need to thrive is greatly helped by your generous support. Many fundraising letters contain something...calendars and return address labels are popular items. This letter caught my eye because of an unusual premium that was not meant for the donor but for the child he might help. There was a small insert containing 15 stickers obviously meant for a child. The sun, butterfly, star, frog and toy airplane stickers were bright and cute. There was a message to the lucky child who received life-changing surgery: "A new smile. A new day. A new life. I'm so happy for you! From your friend in (donor's state), USA." Then a line for the donor's signature. At the bottom of the stickers was this message: "Please sign above and return these fun stickers with your gift today. You may also want to write a short personal note on the back. We'll give the stickers to a child who receives a new smile and a new life, thanks to you." What a great way to help the donor be the hero! When you look into the face of a child born with a cleft lip or cleft palate, it's impossible to know their pain. A child like this is mocked and ridiculed. Unable to attend school. Unlikely to have friends. Eating and speaking are difficult. They're condemned to suffering because their parents can't afford the surgery they need. Some will not survive. Provided more than 160,000 free surgeries to children around the world, and we now have a presence in over 60 countries. Recruited more than 5,000 doctors, nurses and other credentialed medical volunteers who donate their time and talent. Trained thousands of local doctors and nurses in reconstructive surgery techniques and post-operative care. Provided free physical examinations for every child during medical mission screening and every child that received surgery also receives post-operative care. An Operation Smile surgery takes as little as 45 minutes and costs as little as $240. In only a few moments, a child's life is transformed! But sadly, most of the 200,000 children worldwide who are born with facial deformities each year can never afford the surgery they need. Our mission is to make sure that someday, every child has the surgery that will change their life forever. That's why we need your help. Your gift today can save a child from a life of pain--and open up a world of opportunities. Just $40 or even $20 will help provide free surgery for a child like little Ngan from Vietnam. Ngan's parents were poor rice farmers, struggling to survive. When they saw her cleft lip and cleft palate for the first time, they thought she'd been cursed. Neighbors pitied her. Other children were afraid to look at her. Generous friends like you enabled us to give Ngan the surgery she needed--and save her from shame and rejection. She now has a terrific smile and a bright future ahead. Such a transformation seems miraculous! But we cannot rest. We want to go to more places and help more children. We want to continue to train local doctors and nurses to carry on the work, and establish more care centers in our partner countries, so surgeries can continue year-round. We have medical teams who volunteer their time standing by. Now we need your help. Any gift amount will help give a little one like Ngan a new smile and a new life. And for as little as $240, you can help pay for a surgery for a child who's waiting now. That's one life changed, entirely because of you. Thank you in advance for helping us work toward changing the lives of children one smile at a time. P.S. I've enclosed cheerful stickers for a child who will receive a new smile because of you. We give these stickers to children on our medical missions, and they are always thrilled to receive them. Please sign and return them with your gift today! The following letter is from a great animal organization called . The letter is filled with photos of Mila. The front of the page is in color, and the back is black and white. The envelope the letter came is in color, has a picture of Mila, and a that reads "Mila is at the top of her class!" Enclosed with the letter is a "Diploma" which is an honorary degree from puppy preschool that also says in large letters, "Thank you." The back of the diploma has some clever copy: "Things I learned in Best Friends Puppy Preschool" and "What I Wish Someone had Told Me..."
I'd say that if you aren't won over by this package, you've been frozen in dry ice for a while. It's another successful graduation from Best Friends Puppy Preschool! This class will make its mark on the world (not your carpet - they learned that's frowned upon). These furry pioneers want to change the world for homeless animals everywhere. Can they count on your help? Graduation means starting a new chapter in life. Or fun times tearing your diploma to shreds! At least, that's what Mila got out of the ceremony. Welcome to puppy graduation at Best Friends. Here is where you'll meet puppies who were once abandoned or unwanted -- and are now here at the Sanctuary, learning how to grow up into great family pets. These little guys and gals deserve a pat on the back (or a scratch on their tummies) on graduation day. Completing puppy preschool here at Best Friends is a big deal! Like kindergartners, some puppies excel at Best Friends Puppy Preschool. But it can be a tad scary for those who are still lonely for their moms. But even if mom is not there to help them along, they do have you.. Thanks to your support, rambunctious puppies have their very own class at Best Friends where they learn to get comfy with our world. The result? Once they find homes, they usually stay in them for life. Mila is one very proud recent puppy school graduate. But stroll down memory lane with her by . Those lessons have come in handy very quickly. She's won the heart of a new family! Take a look at the enclosed list she sent us of the most useful thing she learned in class...and a few things she wished they had taught her! We included it along with a copy of a puppy diploma, snagged from certain destruction on graduation day just for you. And remember, here at Best Friends, education doesn't end at preschool. As dogs mature, they continue with their education based on their personalities. They may enroll in wallflower classes if they're very shy. Or they may learn agility exercises if they're full of pep. It's all because of you that we can give each and every dog -- indeed, all of the 1700 animals at the Sanctuary -- what they need to succeed. You give them all hope for a future full of love and happiness. I hope you'll send a special gift today to show all of the animals at Best Friends how many people are out there rooting for them, regardless of what paths their lives take. Thank you for being there for homeless puppies and for all homeless animals. Together we can bring about a time when there are No More Homeless Pets. P.S. All of the animals at Best Friends need medical care, emotional support or behavior training (Some may need all three!) Thanks to your support of Best Friends, they are getting everything they need to thrive and become the wonderful pets they were meant to be. And the results are truly forever families. Please send your most generous gift to ensure that more animals get the same quality of care, or give online at www.bestfriends.org/puppyfun. Thank you! This letter from a small, local theater group . It is on letterhead, is only one-page long, and was accompanied by a plain return envelope. The supporters of this theater are a loyal lot, so they don't need too much nudging to give again. But the letter is warm as can be, making it a hit. We can even forgive the Dear Friends salutation. "Sunday at The Rogue is my favorite weekend." Thank you, Meryl, we know exactly what you mean. It's our favorite weekend, too. To perform a good challenging play for an intelligent group of people who want to reflect on the world through a work of art is absolute heaven to us. And so this is a love letter. To all of you. We could talk about how bright your eyes are, how lovely your smile, how warm the touch of your hand--and that would all be true. Most of all, we want to tell you how grateful we are that we found you. That we found each other. That five or six times a year we get to share some of the world's greatest literature. Together. Our Tenth Anniversary Season has been an important milestone for all of us. We became an Actors' Equity Small Professional Theatre, we took on five challenging and vastly different plays (including a never-before-seen adaptation of Virginia Woolf short stories); and we provoked hundreds of discussions about the nature of family, the outsider, the search for meaningful existence, and religious persecution. Ten years is not a long time, but it means a lot of Sunday afternoons, or Saturday afternoons, or Thursday, Friday, or Saturday nights! Please help us continue, dear Rogues. Your Tax-deductible donations make a huge difference in our being able to bring you the best plays with the best talent in Tucson. Thank you for your generosity in making this theatre possible. I have received fundraising letters from this appealing local charity for years. They have gone from sounding like an annual report addressed to “Dear Friend” to this one about a very special little boy. It is a great example of , , and explaining how the donor can help. When six-year-old Alec came to TROT one year ago, he didn’t talk to his parents or friends, and his father feared he never would. Thanks to you, today Alec talks all the time – and it’s music to his father’s ears. Alec’s father, Major Jason Ring, is stationed at David-Monthan Air Force Base in Tucson. His six-year-old son, Alec, was identified with a pervasive developmental delay when he was fifteen months old and diagnosed with autism at age three. Alec’s parents wanted to help him communicate better and develop his social, emotional, and cognitive skills. He lacked confidence and the ability to communicate with his peers and even his parents. Alec’s father feared he would never establish a strong bond with his son because of the difficulty they had with even the most basic communication. Melanie taught Alec how to interpret horse language by observing the ears, the mouth, and the tail. Alec learned riding positions and patterns. The exercises improved his core strength and balance; he became more adept with his hand and eye coordination, and his memory sharpened. In time, Alec began to trust his horse. A life-changing bond developed. Alec has opened up over the past year and reached many of the goals his father hoped he would accomplish. Alec is talking all the time, but the real transformation is his ability to carry on a conversation, not only with his parents but also with others. Today, he is much more confident and self-sufficient. Alec’s story caught the attention of Arizona Public Media. Despite the incredible outcomes therapeutic riding creates, many families cannot afford to pay for this specialized treatment. That’s where you come in. YOU can support the special bond between horse and rider; a bond that has transformed the lives of thousands of people like Alec. Please, make a gift today. Just mail a check in the enclosed envelope, give online at , or call 520-749-2360. We would love to hear from you! P.S. Did you know that TROT has been deepening the bond between horse and rider for 40 years and has changed the lives of thousands of children, adults, and veterans in our Tucson community? Celebrate our 40th Anniversary with a gift to TROT today! Thank you! I love this letter because it talks about the heat, something all people in AZ have to cope with, so I could relate. It is also urgent ("act now") and recognizes that I have given in the past. The letter also mentions several ways I might give, from sending a gift now and pledging the same across the summer months to making a . There is no salutation for this letter proving that making an exception to the rule of personalization can work. School is out, but...there's no vacation from hunger. Is summer in Arizona your favorite time of year? Most people can't say that. That's why so many of our community members take some time away from the soaring temperatures. Not everyone is fortunate enough to escape the skyrocketing utility bills and high costs of childcare, though Our signature heat brings with it stressors that often put families in challenging situations. Forced to stretch their budgets to the very max, many families make costly sacrifices, like going without food. These families shouldn't have to go hungry when there are dedicated people like you and me, right? Unfortunately, unless we act now, many will be this summer. Last year, you stood up and made a commitment to help stop hunger for those in need. Will you take that stand again this year? People just like you are helping to provide the fresh fruits, vegetables, and grocery necessities that will help thousands of families make it through the season. As the need spikes, the donations from year-end giving are running out. You can help us reverse this trend and end our fiscal year strong, prepared to face whatever lies ahead. Join us this summer with a special three-month commitment that will go a long way in helping people get through this trying time. You can send a gift today and pledge to do the same in July and August, or make a single gift that stretches across the entire summer. Better yet, sign up for monthly giving and make a difference all year long! Hunger and hardships don't take a summer break. With your help, we can ensure that hope for these families won't either.